Since we’re all tweeting, sharing, liking, linking, connecting and blogging these days, I’ve had a few requests from people asking how to show social icons in their email signature. It’s easy enough to do it manually every time you send an email, but if you want to automate the process and really have the icons in your signature line, the trick is in being able to host the icons on a server somewhere and not linking or inserting the icons from your local computer. If you would like to use any of the following icons, I got them from http://vandelaydesign.com/blog/social-media/icons/ who offers them for free. The social icons you see below were downloaded from http://psd.tutsplus.com/freebies/icons/81-pixel-perfect-social-media-icons/ and then uploaded them to my server, so that we can link to them individually for use in an email signature. 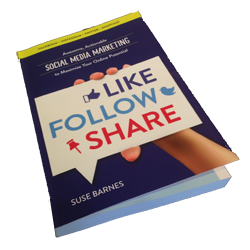 First make sure you know the URLs (web addresses) to each of your social media profiles. See https://www.facebook.com/username if you don’t have a Facebook Vanity URL (custom username) yet. Now go back go Gmail. Click Compose mail in Gmail. Make sure the rich-text editor is enabled: if you see “Rich formatting »” right above the message’s text composition area, click it. This will change from plain text to rich-text editor. Now Click Discard, because you don’t need to compose a new message yet. 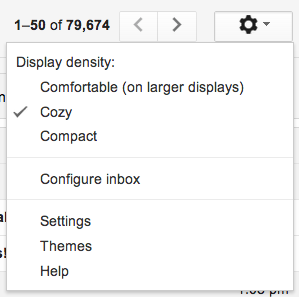 Click the Settings gear in your Gmail inbox’s toolbar. Look for the gear symbol in the top right area of your gmail screen. Now select Settings from the menu that appears. Scroll down until you see the Signature option. Position the text cursor where you want the image to appear in your signature. 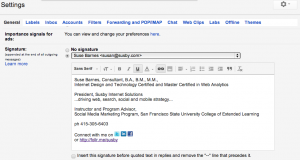 Click Insert Image in the signature’s formatting toolbar. http://www.susby.com/s/youtube.pngPlease note that you MUST use the complete URL, with http://www.susby.com/s/ plus the icon filename in the URL or the image will not show. This is just how email works. All URL must be absolute URLs, and exist somewhere out on the web, or your images will not show to other people, even if they are showing for you when you link to them from your own computer.So, copy one of the above links in full. 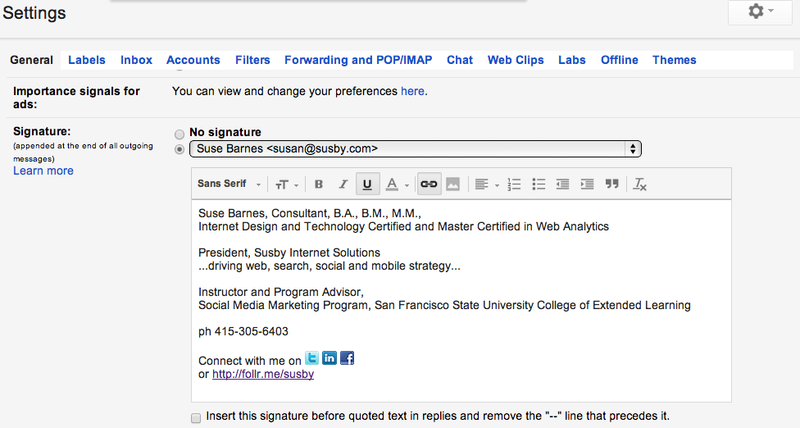 Then click Insert Image in the signature’s formatting toolbar.Paste the URL(link) into the Image URL field. Compose a test message to yourself or a good friend (or me) and test all the icon links to make sure they are going to the right place. Make any corrections and then you’re good to go and people may click on your social network icons to view any of your social networking profiles. Happy socializing on the social networks! Have you noticed any increases in visibility since adding social icons to your email? Do you have any other tips for making your social accounts more visible to the people that you are communication with regularly? Please share your thoughts in the comments below.